The 2014 Infiniti Q70 5.6 is the most emotionally engaging pick of this very handsome litter, with a bad-boy V-8 bark--and bite to match. 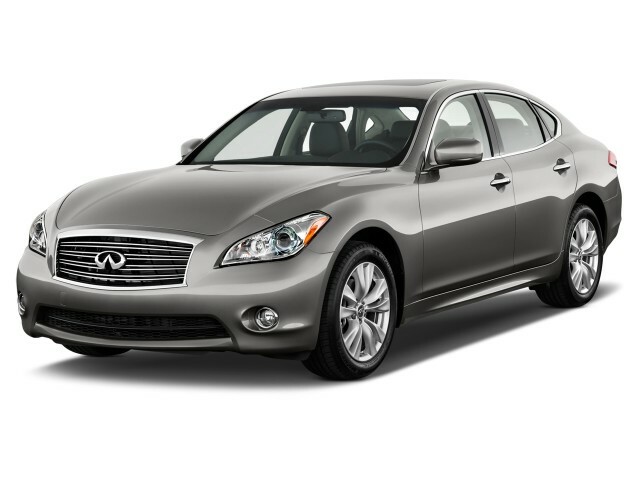 The 2014 Infiniti Q70 sedan range is fast, fun-to-drive, better to look at, and comfortable--a world-class combination. Stylish yet subtle, the 2014 Infiniti Q70's combination of lavish equipment and dynamic performance makes it one of the more elegant choices in the luxury sedan realm, even with the stiff competition from Germany and America. Previously known as the M sedan, the 2014 Infiniti Q70 reaches its rivarly of the world's best luxury sedans without copying them--it's a true original. Striking, voluptuous curves and complex surfaces wrap an interior filled with warm wood, semi-aniline leather, and considerably more personality than you'll find in comparably stark European alternatives. A hybrid version of the Q70 will also be available in January 2014, matching the previous M35 Hybrid's spec with a combined 350-horsepower rating from its combination of a 3.5-liter V-6 engine and lithium-ion-powered electric motor. Whichever powertrain you choose, the 2014 Q70 offers brisk acceleration and responsive handling. The 5.6-liter V-8 in the Q70 5.6 models is particularly impressive, pushing occupants back into their seats as easily as the driver can press the gas pedal. Suspension calibration is smart and slick, with a good balance between comfort and control. 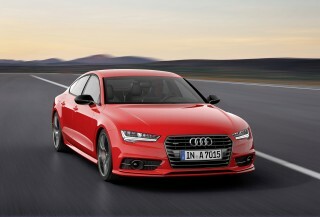 Steering is well-weighted and has fair turn-in feel, especially on rear-drive models. An available sport package (which adds a new engine cooler on V-6 models for 2014) is our preferred configuration, adding 20-inch wheels, four-wheel steering, sport seats and steering wheel, and aluminum pedal trim. 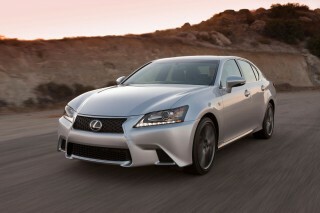 On the gas mileage front, the best performer is the Q70 Hybrid, rating 27 mpg city, 32 mpg highway, and 29 mpg combined. Among the conventional models, the Q70 3.7 RWD scores 18/26 mpg city/highway for 21 mpg combined; adding all-wheel drive subtracts 1 mpg city, 2 mpg highway, and 1 mpg combined. The Q70 5.6 RWD rates just slightly worse at 16/24 mpg city/highway and 19 mpg combined; all-wheel drive models lose 1 mpg highway and 1 mpg combined. 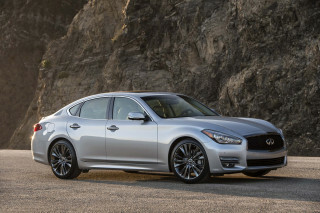 The 2014 Infiniti Q70 hasn't yet been crash-tested by the Insurance Institute for Highway Safety (IIHS) or the National Highway Traffic Safety Administration (NHTSA), but the 2013 Infiniti M37/M56 duo won Top Safety Picks from the IIHS. Standard safety equipment includes dual front, side, and curtain airbags; anti-lock brakes' active headrests; stability and traction control; a rearview camera; and parking sensors. 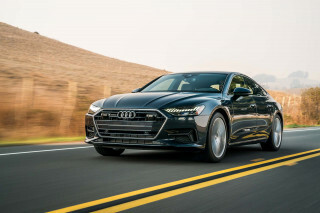 Advanced safety options are also available, including dynamic cruise control, adaptive headlamps, and blind-spot and lane-departure warning systems. Infiniti doesn't shortchange the Q70 on the features front, either, with a strong set of standard equipment in V-6 versions, including heated leather seats; rain-sensing wipers; Bluetooth; Intelligent Key system; automatic climate control; and more. 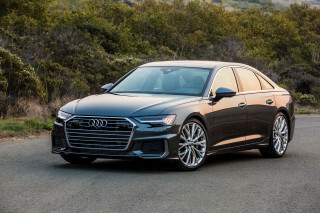 Step up to the V-8 models and you'll add Bose audio; a heated steering wheel; ventilated front seats; plus standard Bluetooth audio streaming; voice-activated navigation; an in-dash DVD player; and more. The 2014 Infiniti Q70 range packs visual punch, with an expressive, voluptuous look not often found in its class. The 2014 Infiniti Q70 might sound like an all-new model, but it's just the name that's unfamiliar. 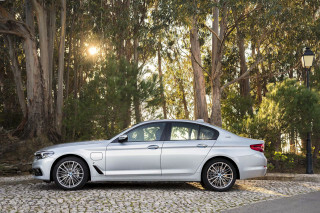 The look and feel is just like it was when the same car was called the Infiniti M.
All-new for 2012, the M37 and M56 were graceful and voluptuous in their large-ish luxury format. So, too, is the 2014 Q70. Curvy and crisp, with flowing lines and detailed accents, the Q70's personality is charming and modern. Swelling fenders flow from the agressive grille, flexing from concave to convex along the car's sides, ending in a short, sloped trunk. While the Q70 sits a bit tall on its tires, that added height gives it a somewhat more masculine stance. Inside, the Q70 continues the Infiniti M tradition as well, with more wood than a Jaguar XJ, semi-aniline leather that looks as good as it feels, and even a dash of silver-dust-buffed wood trim. Two-tone, mulit-layered effects give the dashboard the feel of a high-end jewelry case; the center stack's neatly organized buttons and climate controls sit below a large LCD display for a clean, high-tech look. Potent acceleration and balanced, responsive handling mark the 2014 Infiniti Q70 as a genuine sport-luxury sedan. Three core variants make up the 2014 Infiniti Q70 range: the Q70 3.7, the Q70 5.6, and the Q70 Hybrid. The Q70 3.7 and 5.6 models, which begin sales in December 2013, are available with a choice of rear- or all-wheel drive. The Q70 Hybrid becomes available in January 2014. A single performance update comes to the Q70 range (formerly known as the Infiniti M) for the 2014 model year: an upgraded engine cooler for Q70 3.7 models with the Sport Package (both RWD and AWD models). Otherwise, the powertrains, chassis, suspension, and, ultimately, performance characteristics of the Q70 carry forward unchanged from the 2013 Infiniti M. Fortunately, that's a good thing. The entry point to the Q70 range, the Q70 3.7 RWD, accelerates briskly thanks to its 330-horsepower 3.7-liter V-6, but is a bit on the noisy side for the Q70's otherwise laid-back demeanor. The Q70 5.6 rates 420 horsepower from its 5.6-liter V-8 engine, and makes a much better companion to the Q70's character, bellowing baritone engine notes (and neck-snapping acceleration) at full throttle, but sailing on easily in less aggressive driving. Great handling, quick, responsive steering, and ride quality that's not quite supple but definitely not harsh or too noisy make for an elusive mix, but Infiniti's nailed it with the Q70. All-wheel drive is available on both the V-6 and V-8 versions of the Q70, and while it doesn't dull the car's generally balanced handling much, it's more of an all-weather option than a performance pick. A four-wheel-steering system, called 4WAS, is available on Sport Package V-6 and V-8 rear-drive models to further improve dynamic responsiveness. Large, powerful brakes are standard across the range, while Sport Package models get even more capable stoppers: 14-inch front and 13.8-inch rear ventilated discs with four-piston front calipers and 2-piston rears. The Q70 Hybrid gets a 3.5-liter V-6 engine paired with an electric drive system that Infiniti calls Direct Response Hybrid. 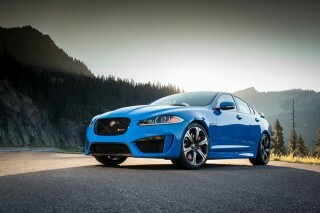 The combination yields 350 horsepower altogether. Compared to other Q70 models, the suspension is a bit softer and more relaxed. All Q70s sport a seven-speed automatic transmission that snicks off shifts quickly and unobtrusively, whether left to its own devices or operated in the manual mode. Four settings help the Q70 cope with driver demands and road conditions, including Sport, Normal, Eco, and Snow. A variation of the Sport Package is available on all models except the Q70 Hybrid, with varying equipment depending on the drivetrain chosen, but always adding 20-inch wheels, plus sport seats and steering wheel. Spacious and well-appointed, the 2014 Infiniti Q70's one downfall is its noisy, coarse powertrains. Though nearly as sporty as the more compact Q60 sedan, the 2014 Infiniti Q70 adds some much-needed space to its portfolio, especially in the rear seats. A refined ride, a roomy trunk, and plenty of in-cabin storage make the Q70 an easy companion. 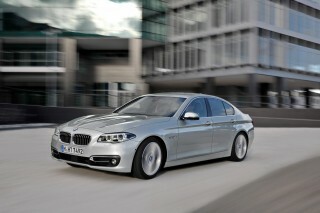 The front seats are exceptionally comfortable, with both driver and passenger getting 10-way power-adjustable seats. Head, shoulder, and leg room is all good, though the thick center console may impinge on knee space for taller adults. In the second row, the seats are contoured to better fit adults, at least in the outboard positions. Very tall passengers may find the back seat a bit short on head room, but most others will be perfectly comfortable. The only negative in the back seat is the high door line and rear deck lid, which can give occupants a closed-in feeling. While the Infiniti Q70's 14.9-cubic-feet of trunk space isn't all that numerically grand, it's well-shaped and easy to access, making the most of the space. Hybrid models lose a bit of storage space for the battery pack. On the road noise and vibration front, the Q70 line still has some work to do--even with Active Noise Control being standard across the line. The V-6 version of the Q70 is the most noticeably noisy, while the hybrids manage with a smoother, smaller version of the six-cylinder. The 2014 Infiniti Q70 offers solid crash-test scores and plenty of advanced safety technology. The 2014 Infiniti Q70 scores well in National Highway Traffic Safety Administration (NHTSA) testing, with five stars overall. 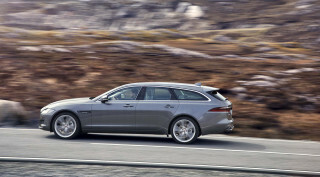 Frontal and rollover scores slip to four stars, but side-impact protection rates five stars. The Insurance Institute for Highway Safety (IIHS) hasn't yet crash-tested the 2014 Q70, but it rated the identical (but for the badge) 2013 Infiniti M37/M56 as a Top Safety Pick, with top marks of "good" in all four categories. In addition to its positive crash-test scores, the Q70 offers a strong set of standard safety features. Dual front, side, and side-curtain airbags are standard, as are anti-lock brakes, active headrests, traction and stability control, parking sensors, and a rear-view camera. Advanced safety technologies are also available in the Q70, such as dynamic cruise control, adaptive headlamps, blind-spot monitoring, and lane-departure warning. Performance, luxury, and advanced tech are all within reach of the 2014 Infiniti Q70. The 2014 Infiniti Q70 range comes lavishly equipped even in base form, while a range of available options lets buyers push the luxury and technology levels to new heights. The standard Q70 3.7 is as well-equipped as any car in its class, including heated leather seats, Bluetooth, automatic climate control, rain-sensing wipers, and much more. Step up to the V-8-powered Q70 5.6 models and you'll gain a Bose audio system, heated steering wheel, ventilated front seats, voice-activated navigation, Bluetooth audio streaming, XM traffic and weather with Zagat restaurant guides, a music hard drive, in-dash DVD player, and more. All of the Q70 5.6's upgrades are available as optional extras on the Q70 3.7. Other available options include a power sunshade, surround-sound premium audio (with front-seat-mounted speakers), a Forest Air system, rear parking sonar sensors, and the Infiniti Connection system. Several option packages help you sculpt your Q70 to your tastes, including the Sport Package, the Premium Package, and the Tire & Wheel Package. The standard 2014 Infiniti Q70 models aren't very fuel-efficient, but the Q70 Hybrid manages fairly impressive gas mileage. The 2014 Infiniti Q70's gas mileage ratings won't impress hybrid shoppers--or even fans of some of the greener V-6s on the market--but they're reasonable for a car of this size and performance level. The rear-drive V-6-powered 2014 Q70 scores an EPA-rated 18 mpg city, 26 mpg highway, and 21 mpg combined. With the V-8, the rear-drive Q70 rates 16/24/19 mpg city/highway/combined. In all-wheel-drive guise, the V-6 Q70 scores 17/24/20 mpg, while the V-8 rates 16/23/18 mpg city/highway/combined. As a hybrid, the Q70's gas mileage improves substantially to 29 mpg city, 34 mpg highway, and 31 mpg combined. All in all, the Infiniti M isn't a particularly efficient range when looking at the powerful conventionally powered models. Fortunately, there's the M35h hybrid, which scores 27 mpg city, 32 mpg highway, and 29 mpg combined, making a very attractive option in this luxury, performance, and size class. Looking for a different year of the INFINITI Q70?